What are your favorite things "Disney"? (This is something I do instead of writing papers for class). 1. Disney World or Disney Land? I prefer Disney World. More to do. Mine has to be between Beauty and the Beast, Little Mermaid, and Aladdin. 5. Live action Disney or animated Disney? Again lots, but Under the Sea always sticks out in my mind. And now Everybody Wants To Be A Cat. I always wanted Ariel's hair, but I also loved Belle because she liked to read. I just watched The Princess and the Frog though, and Tiana also has dreams that go further than the prince, so I love her too. haha pretty much same answer as 4. Prince Eric. He's the hottest, lol. The beast as human looks like Michael Bolton and it drives me nuts. I went to Disney world on my honey moon i loved it, but ive never been to the other. I've only been to Disney Land, and I was 5 at the time, so my opinion is invalid. Lion King 2, all the way. Oh wow... pretty much all the villain songs. Especially Be Prepared and Poor Unfortunate Souls. And Hellfire. And My Lullaby. Is this even a question?! Animated!! Mulan; but Nala and Kiara if they count. Disney Land but that's only because I haven't gone to Disney World. This one is hard, I love the soundtracks of BaTB, The Little Mermaid, Pochantas, The Lion King, and Aladdin...I'll say Belle is my favorite song but Under the Sea and Be Our Guest are close second and third. Belle, I loved that she didn't start out as a Princess and that she loved to read. I haven't been to Disneyland so Disney World. Beauty and the Beast, Pirates of The Caribbean, and Nightmare Before Christmas. Tale as Old as Time from Beauty and the Beast and How Does She Know from Enchanted. I've only been to Disneyland, but that was many years ago. Mulan, Tarzan, Lilo & Stitch. I've always had a thing for Tinker Bell. I have never been to either but would love to go to Disney World. Beauty and the Beast or Lady and the Tramp. I also love The Little Mermaid, Aristocats, Dumbo, Aladdin and Snow White. Belle or Ariel. Or Sebastian C!! ^OMG. those Prince pictures are all so hot.....i love them all!!!!! Definatly Disney World, because i've only been there! Beauty & the Beast, The Nightmare before Christmas, The Little Mermaid, The Lion King, Lilo&Stitch and Finding Nemo! Prince Eric. He's the hottest, lol. Neither. We still keep planning even to this day, but it never happens. Animated, but the live action Disney stuff is pretty great too. 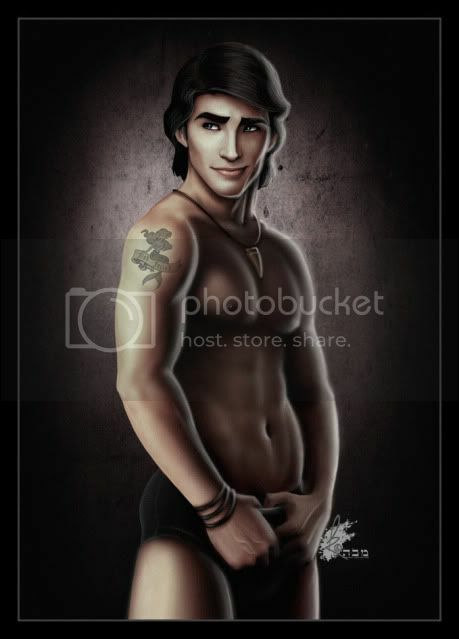 Prince Eric! whitecandy! That doesn't leave much to the imagination does it? I LOVE that tattoo though. Offtopic, but another movie with beautiful music that would've made a great addition to the Disney family is Anastasia. I'll just put my favourite (and soon to be favourite) movie: TRON!